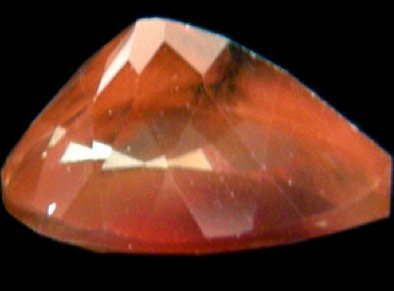 This beautiful Andesine mined in Congo in Africa show the typical orangish red color, with a hue similar to copper and a nice silver grey flash, this gem comes in a faceted pear shape with good clarity and luster, it is perfect for a gem collection or to be set in an elegant jewel like a ring or a pendant. 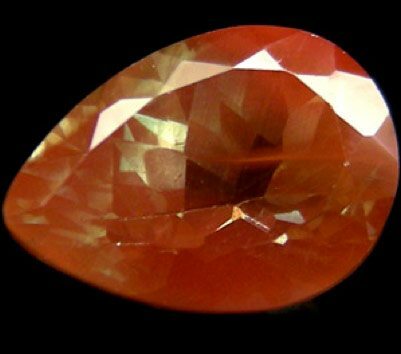 This natural copper orange Andesinte loose gemstone has a nice size and weight 2.69 carat so it is a very interesting sample for collectors or jewellers. Dimensions: 11.0 X 8.2 X 6.1 Mm.